With both of my parents having a birthday in August, as well as several other family members, I have been busy making cards, and no time to put them on my blog. My Father’s birthday is the first one, as a matter of fact, it is today! Happy 80th birthday Dad! 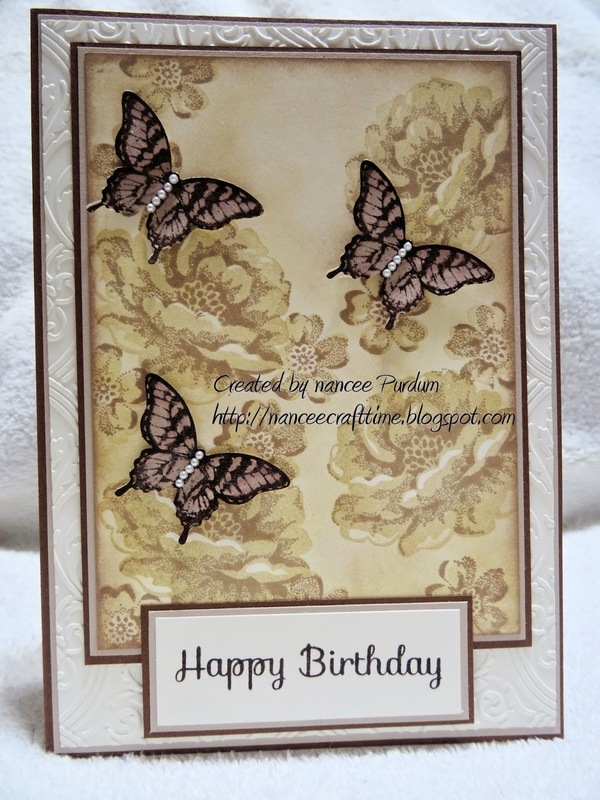 I wanted to make a card and again used butterflies and muted colors to make a masculine card. 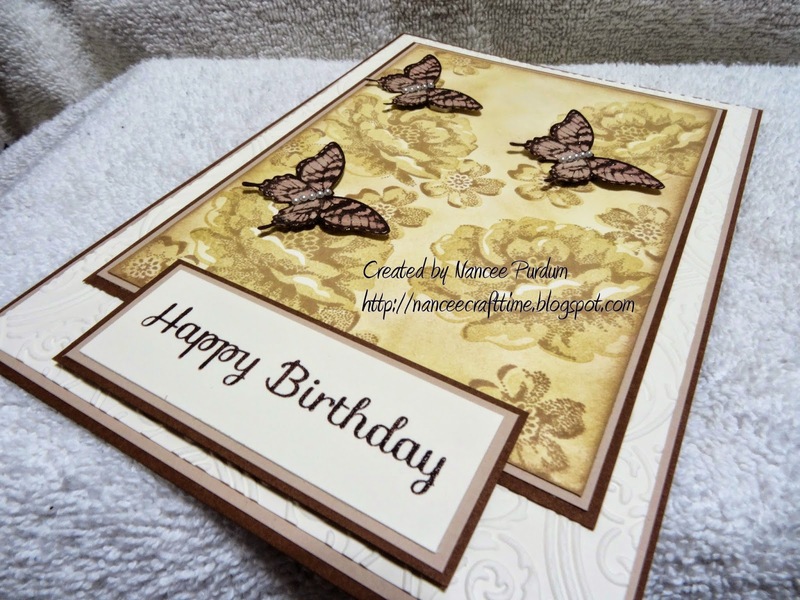 I used some stamps and inks from Stampin Up to create this card. I also used an embossing folder I have had for some time, but rarely used it. I got the inspiration for this card from a post I saw on Pinterest. A peek inside. . . 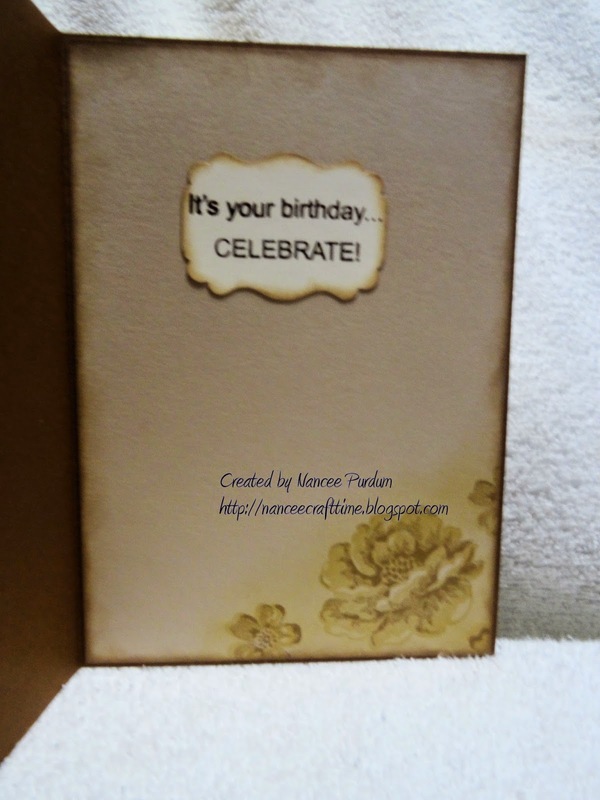 I embossed the sentiment from Simon Says Stamp using Chocolate Chip ink from Stampin Up and clear embossing powder.